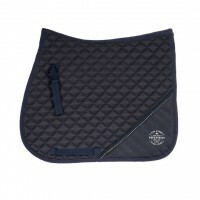 Diamond quilted general purpose cloth with shimmer ribbon and twisted piping half border. 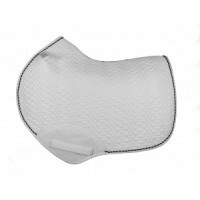 Light..
White 62cm x 49.5cm Quilted cotton drill with polyester and foam fill. 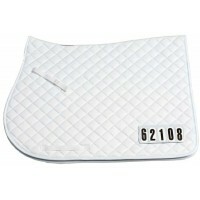 5 digit number holders o..
Tough wearing poly cotton outer, 3.5cm diamond quilt. 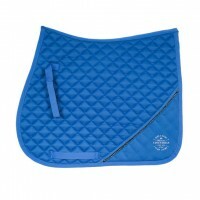 A very popular saddle cloth. 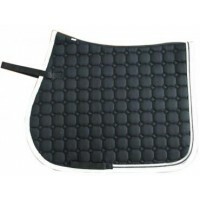 57cm wide x 43cm ..
Lightweight all purpose saddle pad with classic quilted diamond pattern, generous sizing to fit comf..
Cotton drill 35MM quilted saddlecloth with girth loops Suitable for all purpose and dressage saddles..
Saddle pad in the allround shape with extra relief around the withers. Double cords in matching colo.. 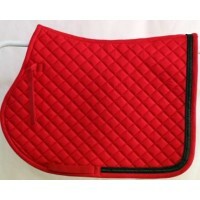 Oval quilted general purpose saddlecloth with double silver twisted piping. 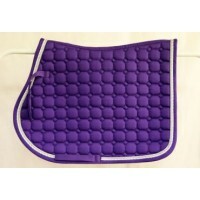 Purple with Silver ..
A delightful saddle cloth with BLING. Beautifully edged with cord and dazzling crystals. GP 24".. 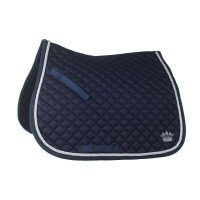 This mini size saddle pad includes a silver emblem on the lower rear corner. The diamond-shaped quil.. 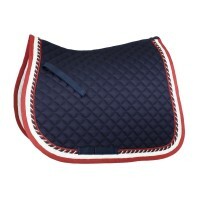 This pony size saddle pad includes a silver emblem on the lower rear corner. The diamond-shaped quil.. 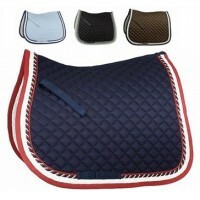 This shetland size saddle pad includes a silver emblem on the lower rear corner. 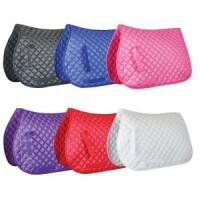 The diamond-shaped ..
A beautiful new addition to the prestigious line of Kieffer saddle pads. 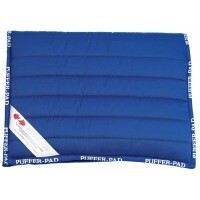 The Kieffer jumping pad is .. 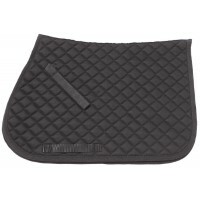 The Kozy All Purpose Saddle Pad is a economical, hard wearing saddle pad. 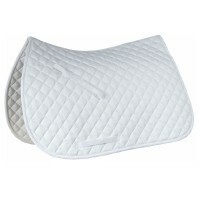 Measures 55cm a..
An elegant silver cord trims this classic all purpose saddle pad. The beautiful diamond quilt p..